Welcome to my NEW blog site. 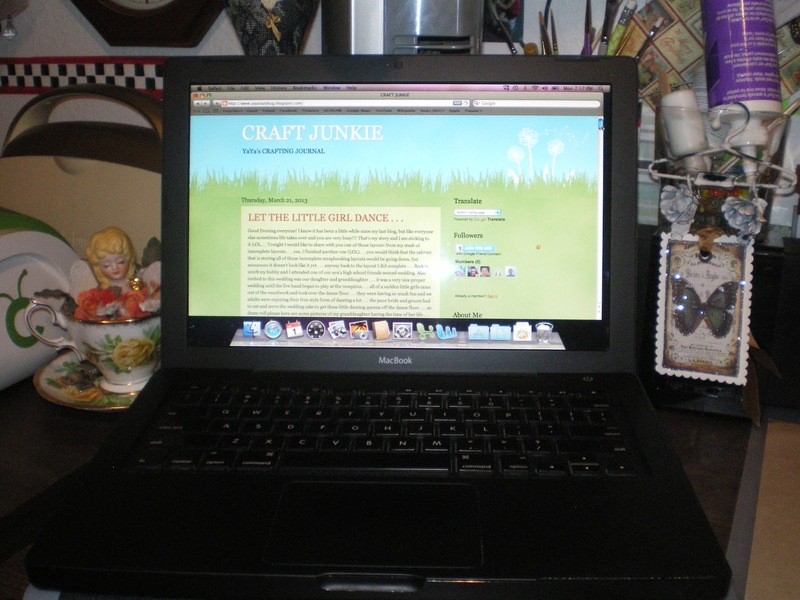 Soon I will be sharing loads of exciting new crafty creations. Please be patient while this blog is under construction. Thank You! Hi Everyone . . . I know, I know, it’s been a loooooong time since I posted anything to this blog, but I’m BACK . 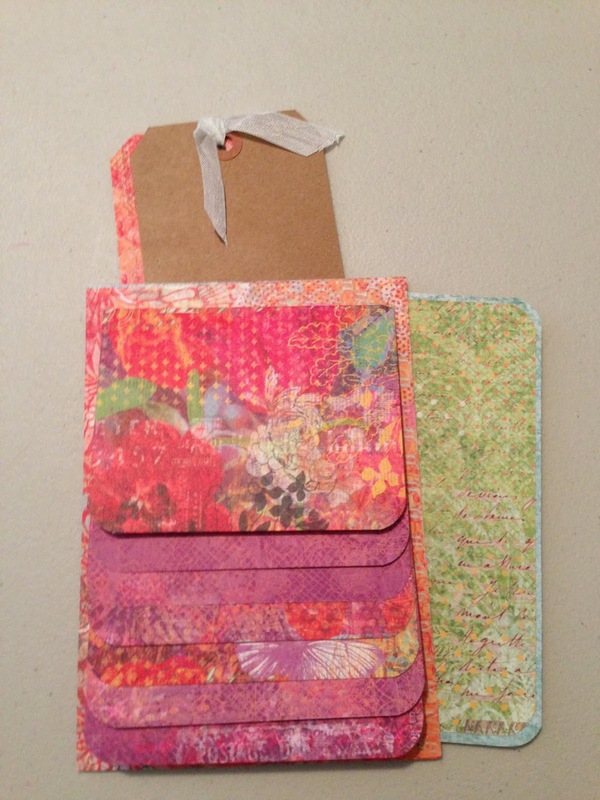 . .
At the moment I am participating in a swap with 6 other ladies, where we each make a 5″x7″ page using only what paper and goodies we have on hand. 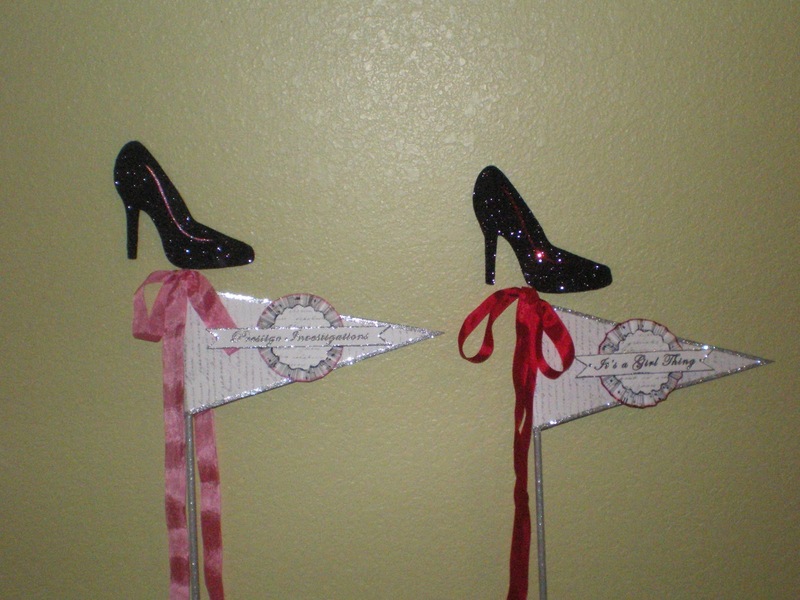 This swap was created by my good friend, Debi Schnabel over on the Pita Babes & Bulls Facebook page. What is so fun about this swap is that not only do I get to clean out some of my stash that’s been around for a while (hours? days? months? years?) but it’s international. The ladies in my group are from the Netherlands, Spain and the United States. 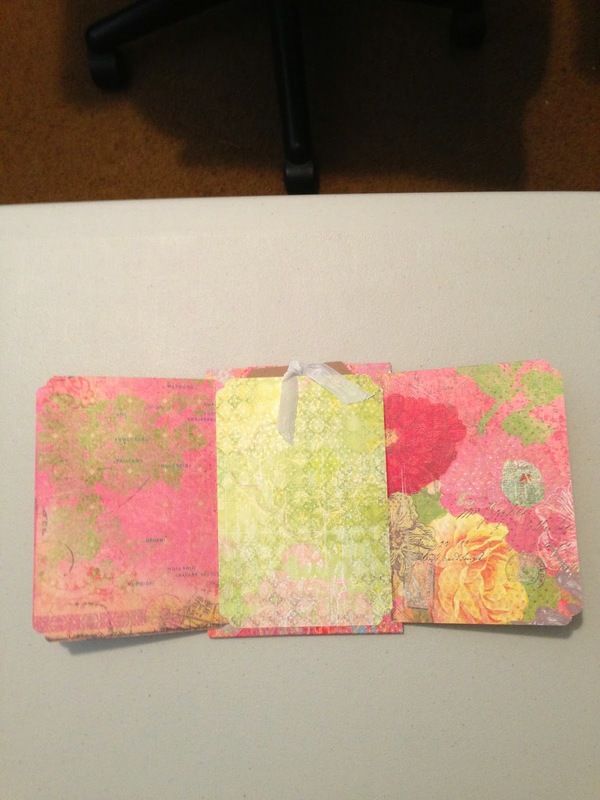 This 5″ x 7″ page (front & back) that Barb created can hold 26 pictures. Can you believe it? 26 pictures! It’s like a mini album in and of itself. Barb even included extra paper. And I LOVE, LOVE, LOVE her choice of colors. Thank you so much Barb! 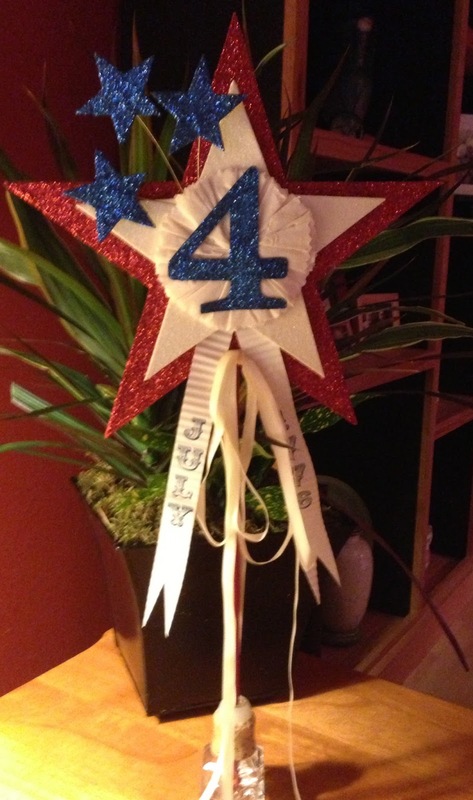 Have a fun and safe 4th of July!!! GETTING READY & THE BOYS HAVE ARRIVED! 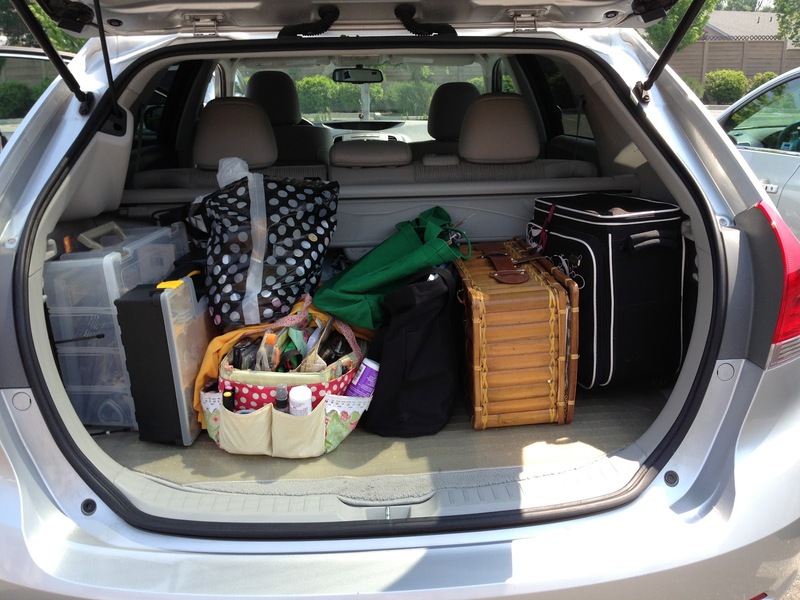 May 8, 2013 8:02 pm / 2 Comments on GETTING READY & THE BOYS HAVE ARRIVED! Greetings Everyone . . . I have had the most amazing past week and I am still running on “high” soooooo I thought that I would take y’all on my adventure . 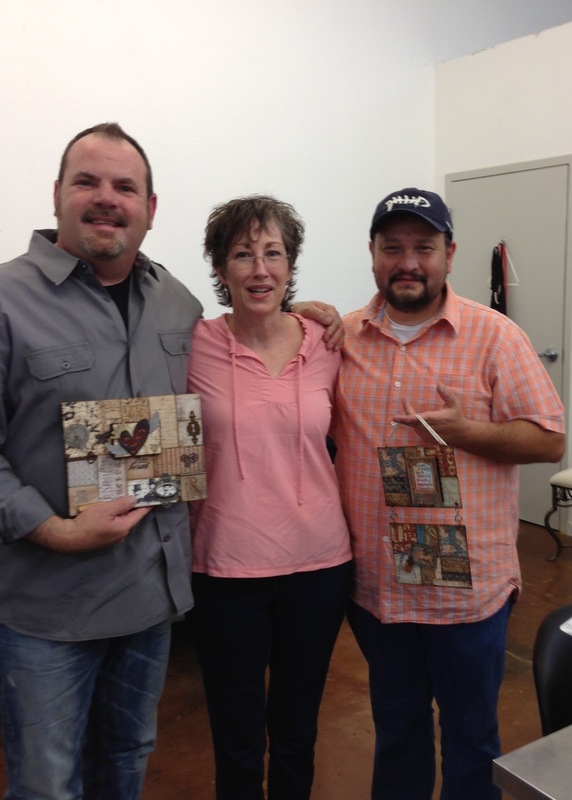 . . it all began back in early April when I learned that Jim Hankins, The Gentleman Crafter , and Cesar were coming from Texas to teach a class on National Scrapbook Day at “Chico Scrapbook” store (they arrived on Thursday and left on Sunday) . . . I was soooooo excited, I felt like a kid again. You know, Christmas is getting nearer and Santa was going to pay me a visit; that kind of feeling . . . well, I was not the only one with those feelings, my friend Sharon Young was also extremely excited. Sharon and I wanted to give Jim and Cesar something special to remember each of us by and to thank them for coming to Chico. After brainstorming, Sharon decided to create for each of them a special plaque . . . In my search on the internet for a particular line of scrapbooking paper that Jim loves I ran across fabric that was made by this paper company . . . I was in heaven and ordered enough fabric to create something for Jim and Cesar . 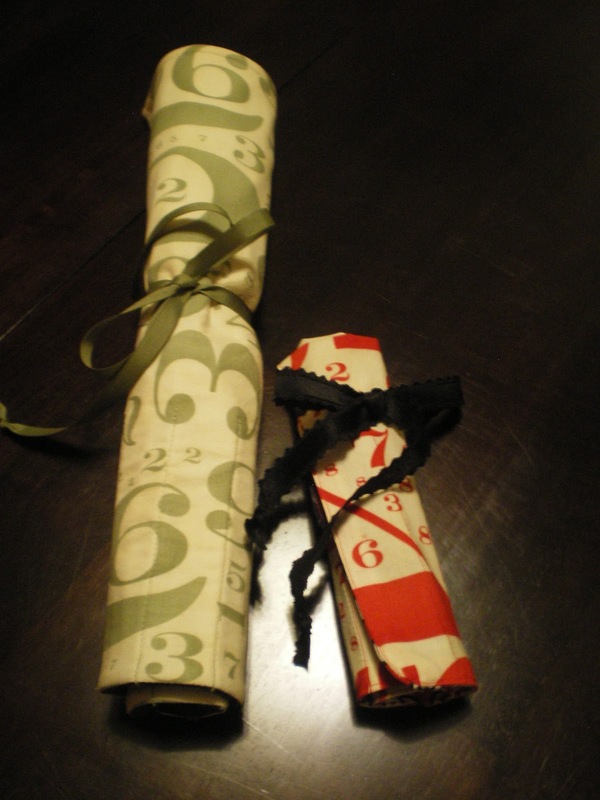 . . the paper line that Jim loves is Cosom Cricket’s Circa 1934 and I hate to tell you but both the paper and fabric lines are out of print soooooo the pickings are slim . 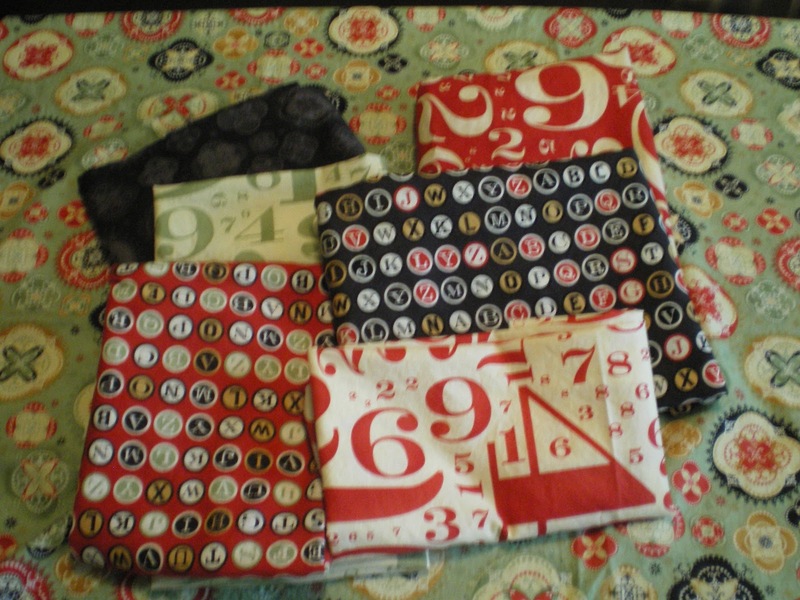 . . but I was able to purchase fabric from a Tennessee quilt shop and from Beverly’s in Rocklin, CA. 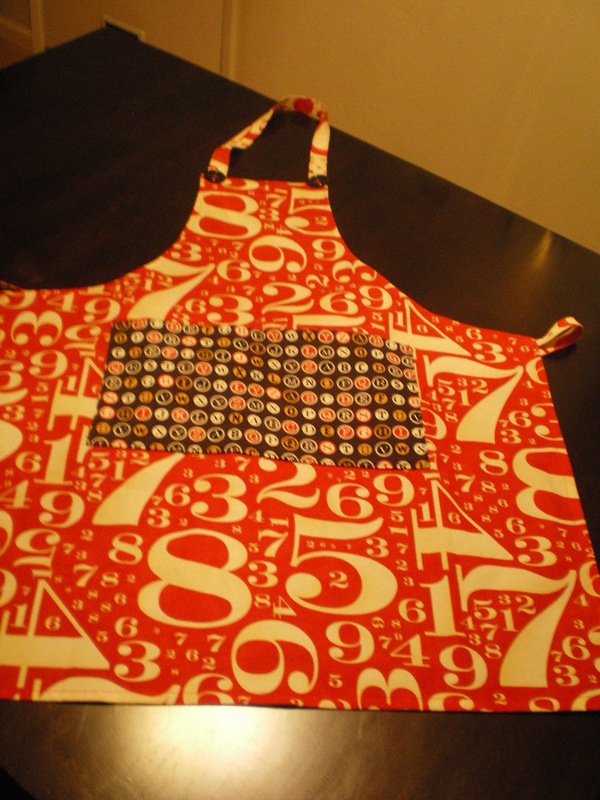 And this is what I made from those beautiful fabrics . . . 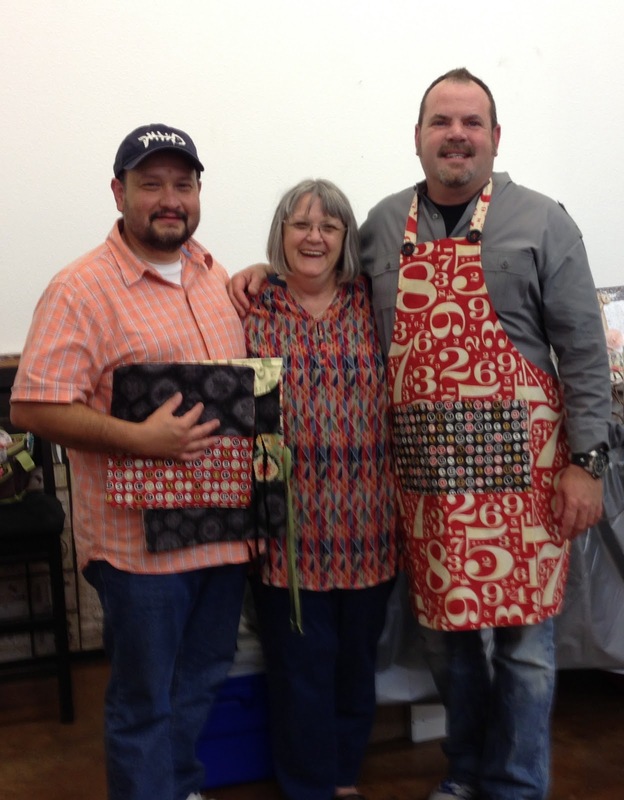 Here they are modeling their gifts from me . . . 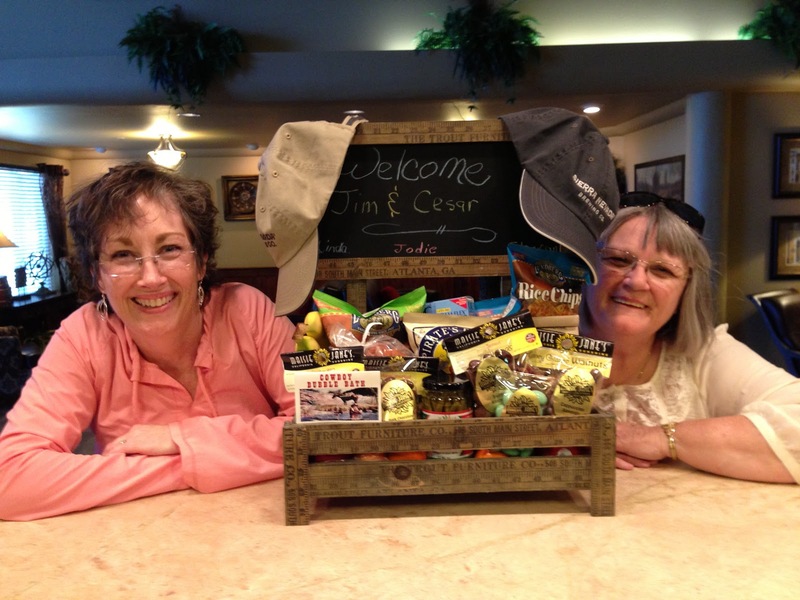 I also purchased a ruler basket and Sharon and I had fun filling it with local goodies; . . . a couple of hats from Sierra Nevada . . . rice chips, nuts, fruits and candies for them to snack on in their hotel room . . .
After Jim and Cesar had a short nap, Sharon and I picked them up at their hotel, took them to Chico Scrapbook to pick up Jodie and off to dinner we went in beautiful downtown Chico at Christen Michaels! Hi Everyone . . . I want to tell y’all about my participating in an ATC swap! 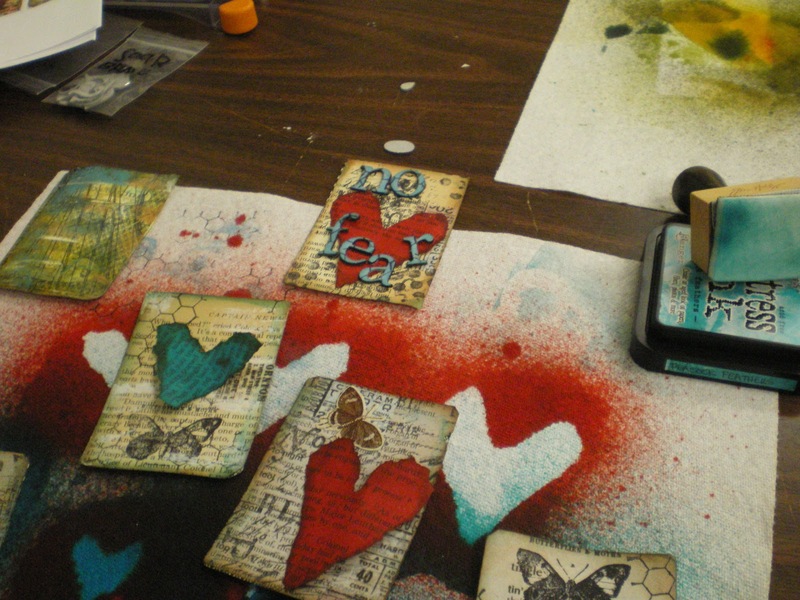 This is the very first time I not only joined a swap but the first time I made any Artist Trading Cards. 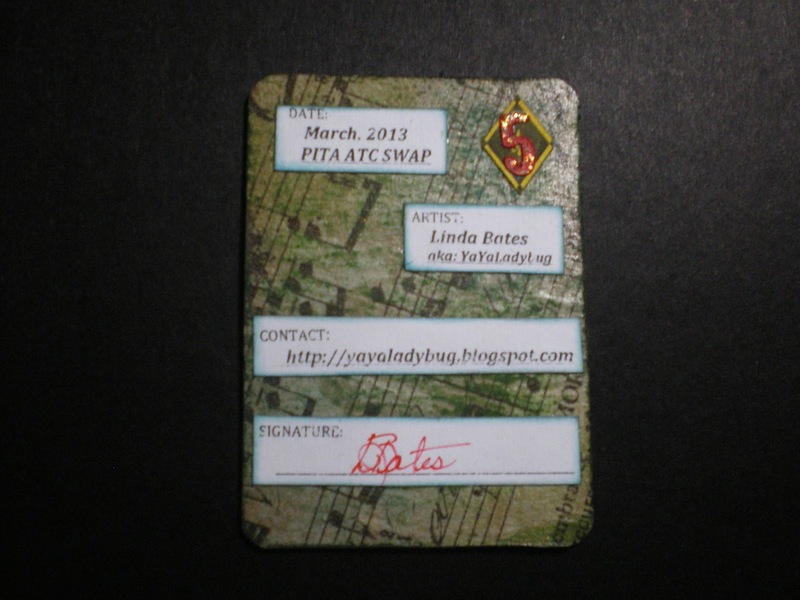 For those who don’t know, Artist Trading Cards (ATC’s) are like mini tags with very specific rules. The cards have to be 2-1/2″ x 3-1/2″ and only 1/4″ to 1/2″ thick (limits the height of your emblishments-LOL) and the artist signature must appear on the back of the card. . . after that anything goes! This all came about when one day I was looking at the entries on the PITA facebook page and Vicky Nash commented that she would like to participate in either an ATC swap or album swap and she was welling to act as hostess. Well things took off fast from there and before you knew it there were 12 people who signed up for the ATC swap (it was limited to 12 because one of the participates bought a wooden ATC display tray and there were only 12 spots for cards-LOL). I made my 12 identical cards and sent them off to Canada (where Vicky lives). Oh, did I forget to mention this swap was international. Cards were not only coming from the United States, but from Canada and Europe. Well LOOK at what the mailman delivered yesterday . . . I am afraid that my old camera does not do justice to these beautiful cards. They are absolutely stunning!!! This is a very talented group of ladies and I will treasure these cards always. 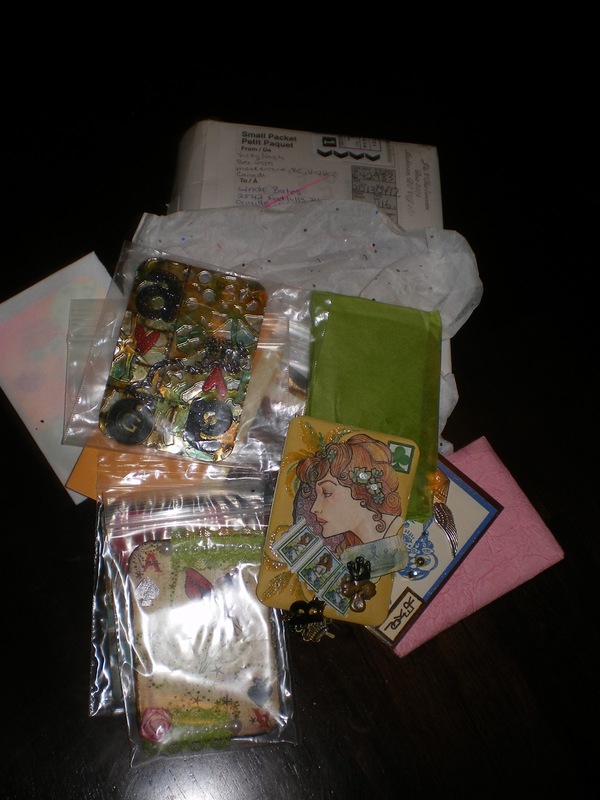 Vicky made this such a wonderful experience that I am looking forward to participating in many more ATC swaps. During the month of March I received two gifts from some very special people in my life. . . the first gift was from my very multi talented friend, Diana Higgins (I did an earlier posting about her being published in Somerset Life). . . she gifted me with this beautiful black scarf which she hand knitted . . . 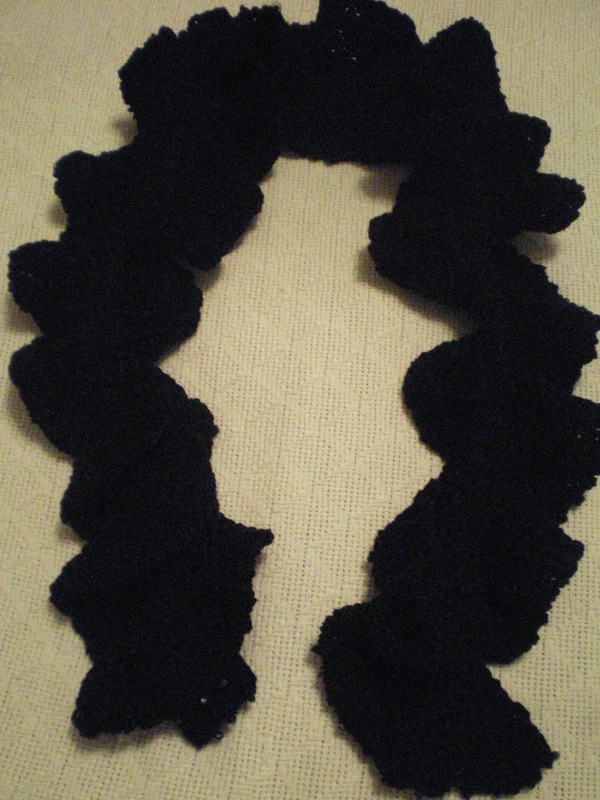 I am afraid that this picture does not show the beautiful twisting ruffle of this scarf nor all of the black crystals that Diana sewed at each end of the scarf . . . I don’t know how she knew that the weather was going to change from an extremely warm spring to a windy, rainy, cold spring but her timing was perfect . . . thank you again Diana for this wonderful gift-YOU ROCK!!! . . . The other person who gifted me was my son, Jerry . . . he gave me this . . .
That’s right, he gave me his Apple lap top! Actually he got a new one and asked if I wanted his old one (this old one is only 2-1/2 years old – LOL) . . . his timing on this gift was perfect as we got a recall letter from Apple regarding the hard drive on our big MAC and had to take it in to get a new hard drive (at Apple’s expense) . . . this is when my hubby and I found out that we cannot function without a computer — so thank you Son!!! I feel blessed to not only have a wonderful family but to also have very loving and caring friends. Well, that’s all for tonight . . . thanks for stopping by and until next time . . .
Hi Everyone . . . I cannot believe that another month has flown by . . . I mean really, where did all the time go for the month of March . . . I felt like I got nothing accomplished, that is until I looked at my calendar — LOL I was busy . . . that being said I decided that I would share a little bit of what took place during my life in the month of March . . . soooooooooo grab something to drink – go potty because this is going to be a loooooooong one . . . It all began on Thursday, February 28th . 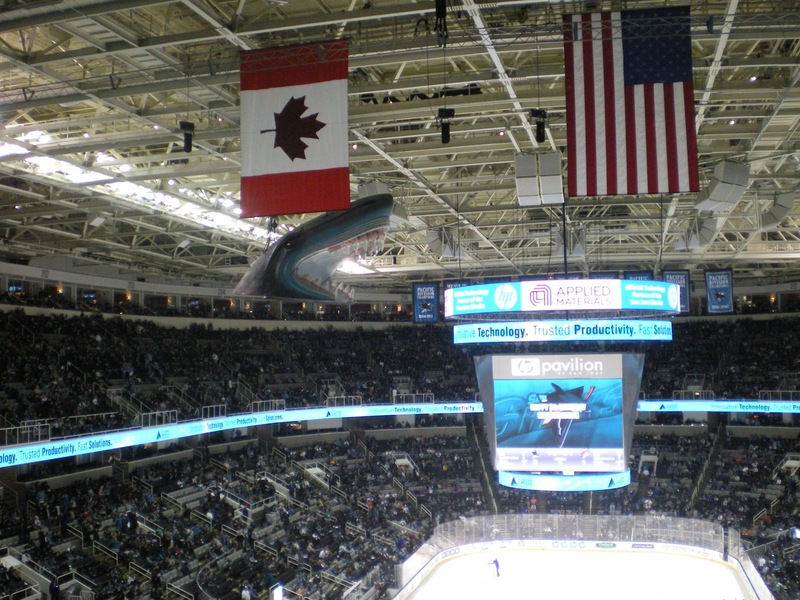 . . we were at the Tank watching the San Jose Sharks vs Detroit Red Wings hockey game . 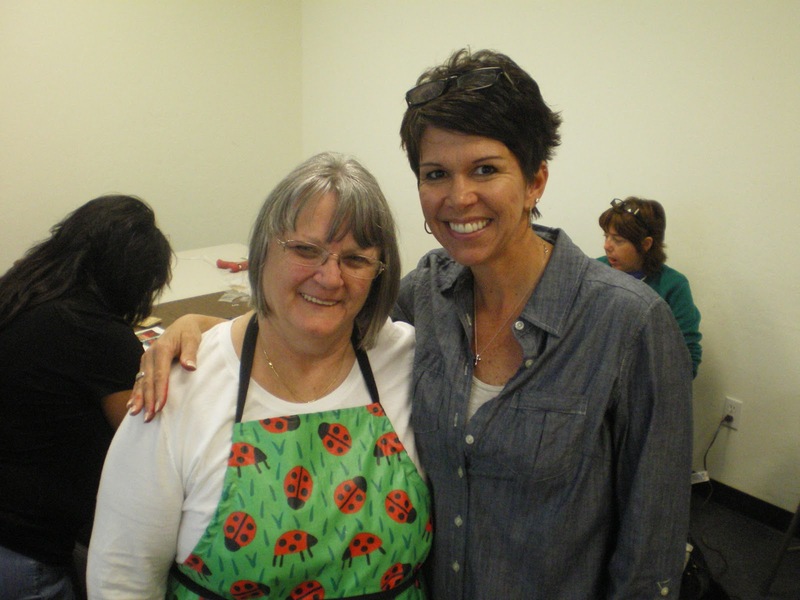 . .
And while hubby and I were done in San Jose, I was able to take a live class being taught by the talented Stephanie Ackerman at Scrapbook Island on Saturday, March 2nd . 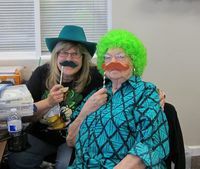 . . her class was called “52 Card Pick Up” . . . Stephanie also offers this class on-line and you can check it out here . . .
Now you may think that I would have a quite Saturday evening, LOL, but nooooooo . 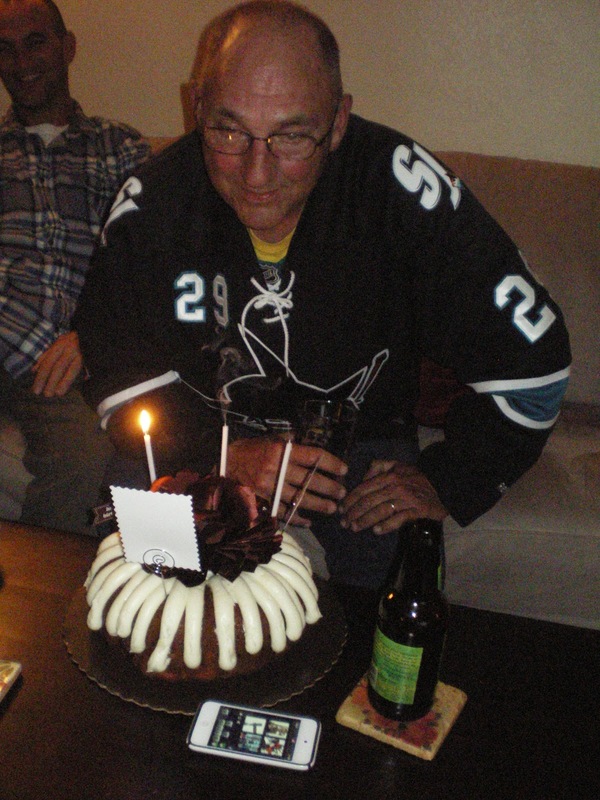 . . because the majority of our family is down in the bay area I contacted everyone before we left Oroville and we celebrated my hubby’s 65th birthday a few days early (his b-day is March 7th) . . . our son hosted a family BBQ at his home . . .
We now leave the bay area with the promise to return soon (which turned out to be sooner than we thought-LOL) and have a few quite days at home . . . the reason it’s quite is because I have to renew my Notary so I am studying (cramming) for the Notary Public exam I have to take on Friday in Rocklin (1-1/2 hours away). It met spending Thursday night in Rocklin as I had to be at the seminar at 7:15am (BTW I just got notice this past week that I passed the test with a 96-YAHOO!!!) . . .
During the next week I began working on a new project . . . 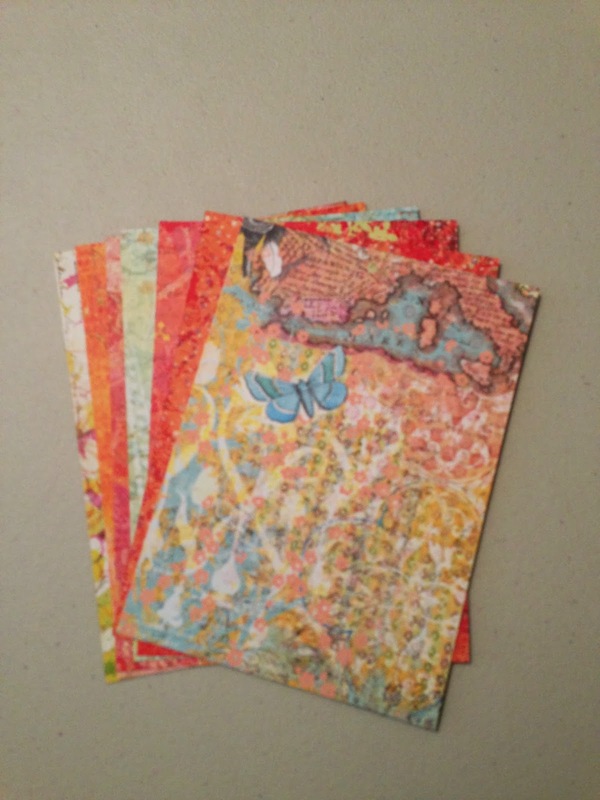 I had decided to participate in an ATC swap with 11 other women . 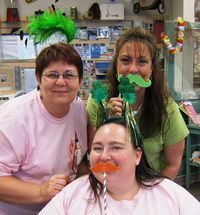 . . we are from all over the world and we know each other only on-line though Kathy Orta’s site, Paper Phenomenon . 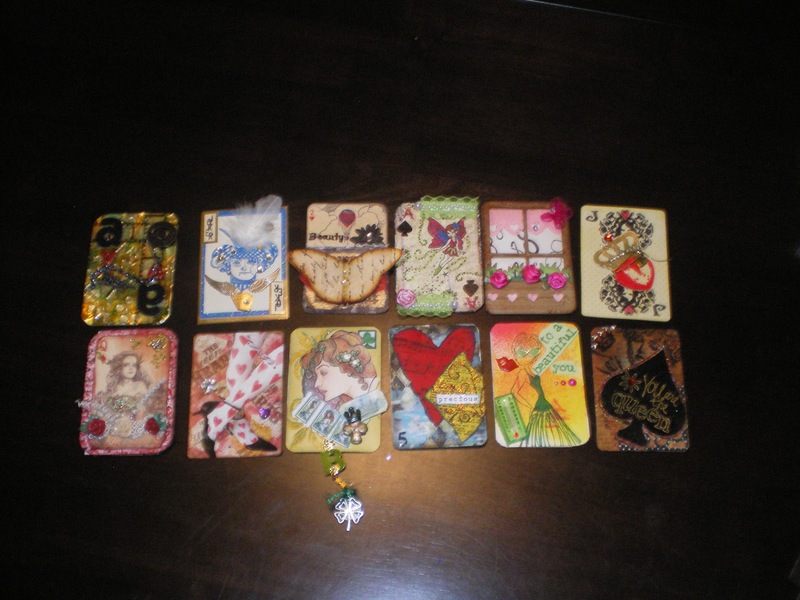 . . this is my very first ATC swap and I had to get 12 ATC’s done and in the mail to Canada by March 20th . . . right now I will only show you the back of the cards I made for everyone — I don’t want to spoil the surprise for any of the other swappers . 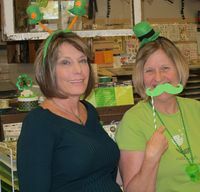 . .
Moving right along, on Saturday, March 16th I spent the evening at one of my LSS, Paradise Scrapbook Boutique celebrating St. Paddy’s day with a few of my wild & crazy friends . 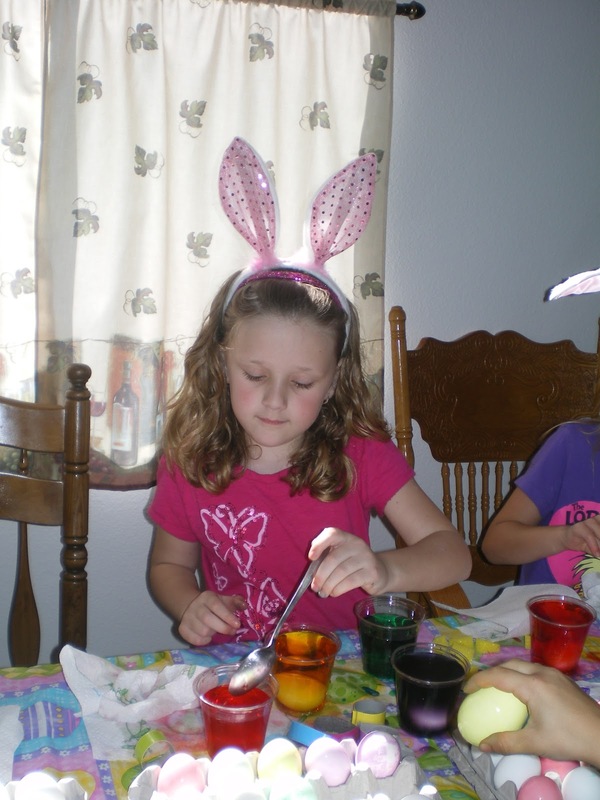 . .
Next up, it is time for the annual egg dying party with my granddaughter and friends . . .
LOL – I don’t know which stains my hands more, dying eggs or using Tim Holtz products. The egg dying always starts out nicely but soon gets out of control – hmmmmmmm same thing happens when I use TH and Dylusion products – LOL . 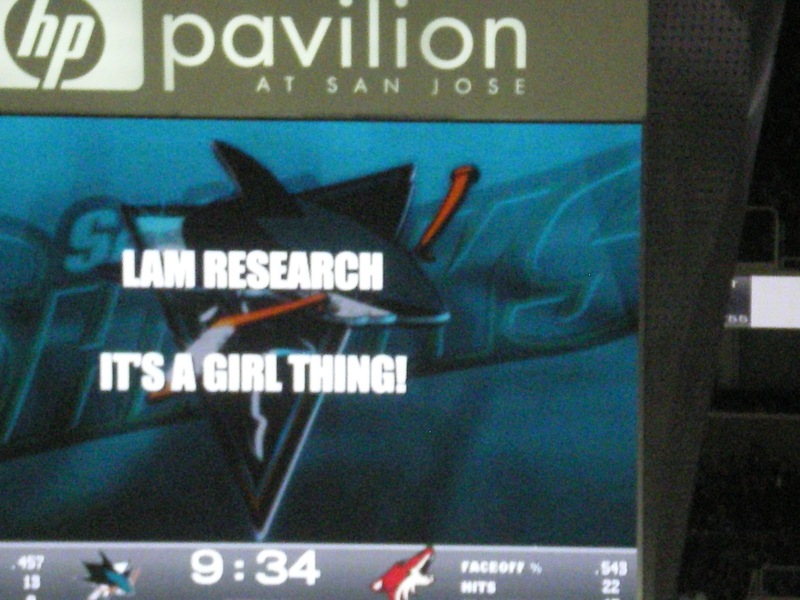 . .
Oh and while we were down there we attended another San Jose Sharks game as the guests of It’s A Girl Thing (she had her name advertised on the Jumbo Tron during a game break) . . .